Plex has long been the go-to platform for media lovers to organize and view their collections of digital content. The company has been pushing the boundaries of what its app is capable of doing in recent years through the addition of podcasts, web-based video content and live TV. 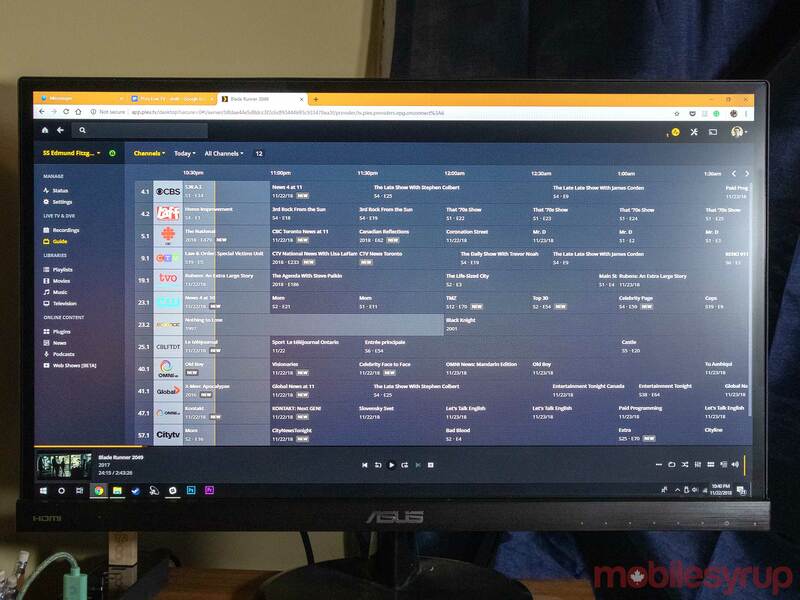 Plex is a platform that allows you to build a server on your home PC to load with movies, TV shows, podcasts, music and photos. Once your content is loaded, Plex is able to gather album and cover art for your media along with cast lists and summaries. This makes it an incredibly convenient media locker since most of the sorting is done automatically. Live TV is one of the most exciting additions to the Plex platform because it allows Plex’s drive to become an all-in-one media platform. While Live TV is an incredible Plex feature when it works, a few specific issues hold it back from being a great feature for everyone. The setup of Live TV is the most daunting aspect of the new feature, but if everything goes according to plan and you have a decent line of sight to a nearby TV tower, the process isn’t overly complicated. First, you’ll need to make sure you have all of the right equipment on hand to get the feature up and running. 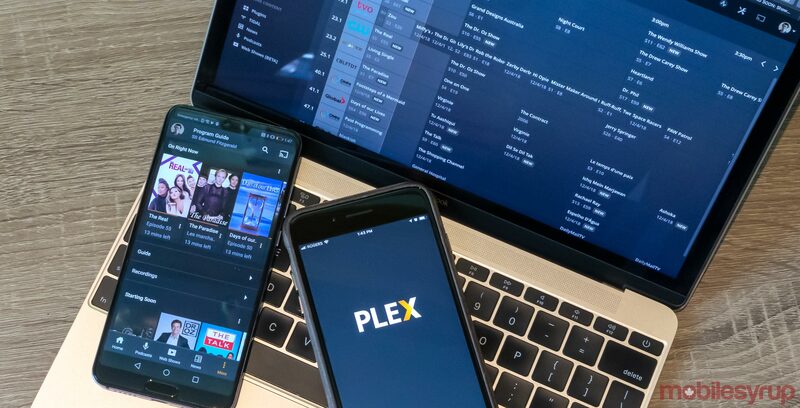 To use Plex Live TV and DVR, you need to make sure you’re a Plex Pass subscriber, which costs $20 CAD for three months, $50 for a year and $160 for a lifetime membership. If you’re new to Plex, this pass gives you access to additional features beyond Live TV as well. 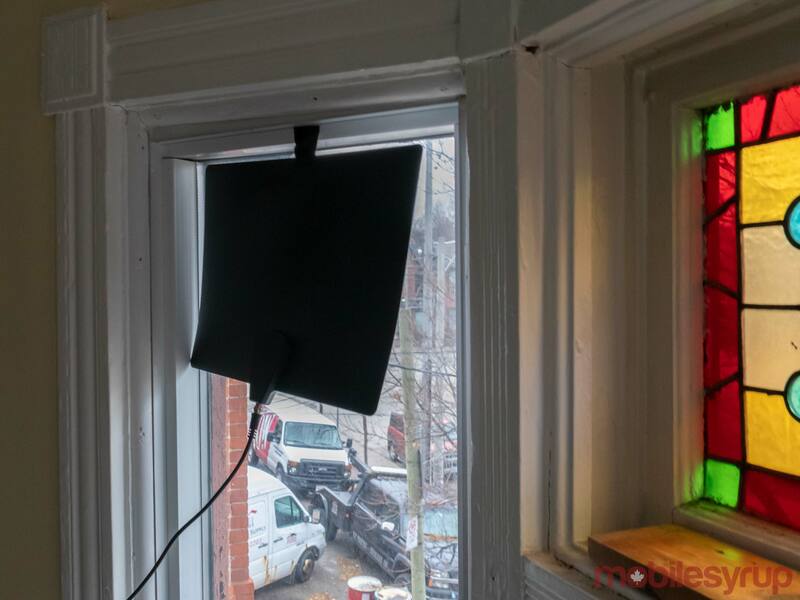 The TV antenna is used to pick up free, digital over-the-air HD channels available in your area. Plex supplied me with a Clearstream Flex from Antennas Direct with a 80.4km (50 mile) range. That said, any antenna should work. Plex told me that finding which channels should be available in my area is harder to do because I’m located in Canada. In fact, according to Plex’s Antenna Direct tests, I shouldn’t be getting any channels at all. Plex does highlight that antenna placement is critical, so the more time you spend testing out different locations, the better it will perform. Make sure that you aren’t just testing to see what position gives you the most channels, but rather what location gives you the most reliable signal when you’re watching the channels that you do get. If you’re in an apartment like me, sometimes even placing the antenna on a wall facing a tower will help. The next piece of the puzzle is the DVR tuner. Not every DVR tuner works with Plex, so check out the support page before going out and purchasing one. I was given a SiliconDust HDHomeRun from Plex. There are other DVR tuners that other Plex users have been able to get to work, however. If you already have one that you want to test out with this feature, make sure to check out the Plex Support page for Community Tuners. The tuner itself can be another battle. One step to try if you’re having issues with your signal is the HDHomeRun Signal Meter combined with HDHomeRun mobile app. 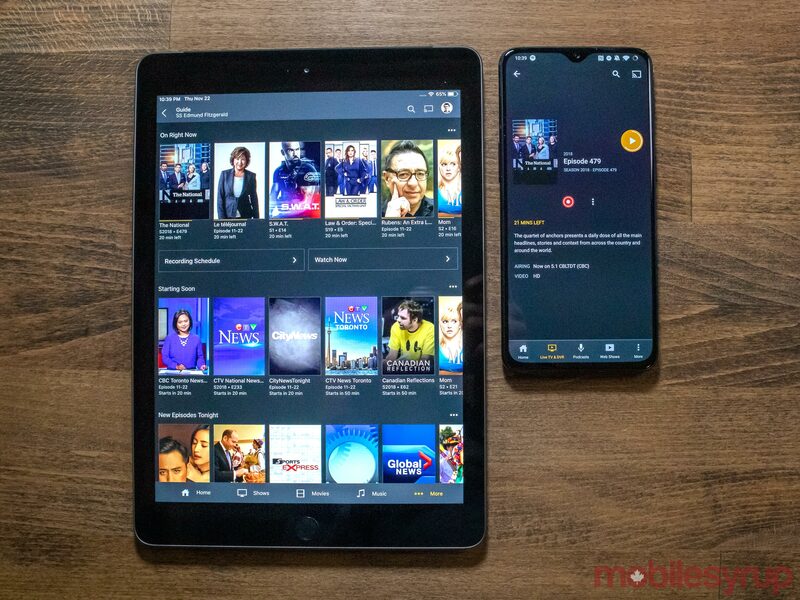 Plex recommends that you launch the signal metre and then quickly browse the channels on your phone using the HDHomeRun app to gauge their signal. When you do this your ‘signal strength’ should be above 60 percent, although Silicon Dust recommends 75 and above. Your ‘signal quality’ needs to be above 50 percent, and finally, your ‘symbol quality’ has to be at 100 percent. Once you have all of your gear assembled and you’ve run some initial tests, connect all of the pieces together and hang the antenna where you received the best signal in your analysis. Click the ‘Add Device’ button, and if your DVR is connected to the internet, then it should appear in the Plex window relatively quickly. Once it does, select it and scan for channels. For reference, I live on the east side of Toronto on the second floor of an old brick apartment building, and I was able to get 11 channels through Plex. Although, using the antenna connected straight to my TV I was able to get 21 channels, but there were some that appeared to be showing the same content as other. 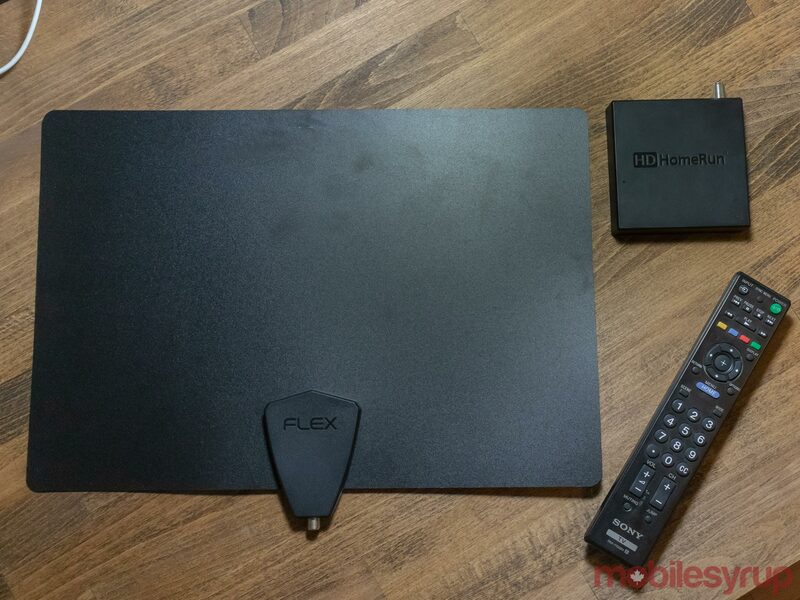 Once you find the channels, Plex downloads guide information, and then you’re good to go. Watching live TV and recording content is simple, but it may differ depending on the device you’re using the feature with. For reference, I was able to pull up a traditional looking TV guide on my computer, Android TV and Apple TV. On mobile, Xbox One and Roku TV there is no guide. Instead, users are presented with a list of what’s playing. Different devices work in different ways, but the content is viewable on all of them. In my experience, I liked using the guide, since it displayed the most information and looked the cleanest. It displays what is coming up and the season and episode number for TV shows which is pretty handy for at-a-glance information. Hopefully Plex adds it to more devices soon. 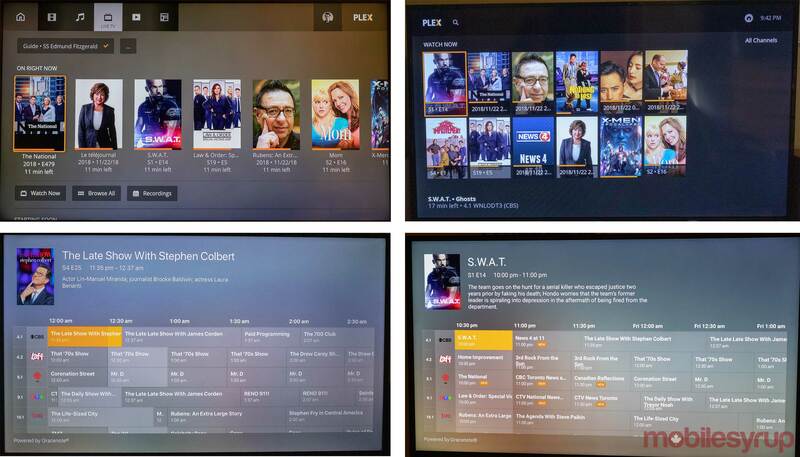 The Plex Live-TV guide on various platforms. Top-left, Xbox One. Top-right, Roku TV. Bottom-left, Apple TV. Bottom-right, Android TV. If you chose a shows that’s live you have the option to either watch it live or record it. Sometimes it gives you the opportunity to view things from the beginning as well if it’s cached. If you choose something that hasn’t started yet you only get the option to record it. Most of the time you select a show Plex displays contextual information such as what sports teams are playing or a brief summary of what show, it’s pretty standard stuff. Problems arise when you actually begin watching content. In my tests, show and movies would sometimes refuse to play until I restarted the app or backed out to the menu. I was never restricted from viewing anything, but I often needed to do minor troubleshooting to make it work, which isn’t easy for everyone. There’s also another significant issue. After watching content for a few minutes, audio and video often desynchronized. This is an irritating problem, but is also likely due to my apartment’s poor location relative to a TV tower. Even high-definition channels had issues. I often had to back out of the show and then hop back in to resync it. This generally only solved the problem for a few minutes. Sometimes when the content was playing in the background, I’d notice Plex resync itself, though the video often falls out of sync again in another few minutes. A Plex spokesperson did mention to me that my setting is less than ideal, calling it “signally challenged.” In fact, they were actually surprised that I was able to get any channels at all. Overall, when Plex’s Live TV feature works, it’s impressive. Being able to watch live TV in every room of my house on a different device is great, but the inconsistencies make it an experience that only people that are really invested in using Plex may be able to put up with. If you are a Plex user, and you think you have a good line of sight to get over-the-air channels, then this could be a perfect set up for you. Just keep in mind there’s a small investment involved for supplies and no guarantee that it will work flawlessly. There are other options like the HDHomeRun app that offer similar services, but on fewer devices. However, the reports I’ve read claim it is more consistent.